You depend on your freezer to keep your frozen food safe to eat. If this appliance breaks down your food could spoil. We will not let this happen. Our experts race out to provide quality freezer repair in Passaic, New Jersey. We have the know-how to service all freezer types. Every tech on our team is a skilled pro. We know exactly what to look for and what to do when we find it. Don’t settle for less than the best. Choose us for service you can trust. We offer the best service for your freezers. Our work is always guaranteed! No job is too small or large for our techs. Our focus is on quality. We take an attentive and focused approach to every job. Your appliances deserve our full attention and that is what we offer. No one is more committed to customer care than we are. Give our company a try today! No one wants their freezer to break down; especially when it is full of food. Sometimes these things happen. The best thing you can do is be prepared when it does. Keep our phone number nearby and call us right away for the freezer repairs you need. We promise to respond urgently to provide service you can trust. Our service is enhanced because of our planning skills. We stock our vans with a wide array of spare parts. When we arrive at your home we are prepared to fix your appliance fast. At Passaic Appliance Repair, we are out to save you money. We are here to make certain you get the repair service you need. Our crew will fix your fridges and icemakers too. Choose our experts for Passaic appliance repair service you can trust. Get the best service for your appliances. 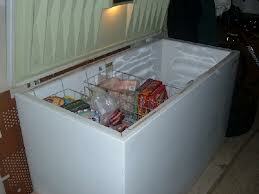 If you need home or commercial freezer repair, we have got you covered.